Why does obstacle clearance area splay outward instead of being a rectangle? Because the navigational beacons and the indicator instruments in the cockpit are such that the system is less precise at longer distances. 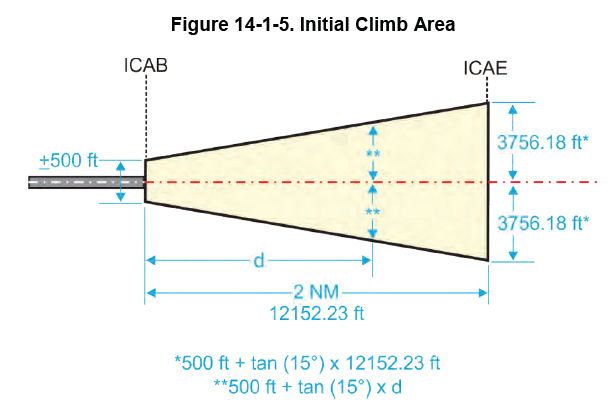 Second the plane must find the initial fix or intersection while flying blind under IMC before becoming aligned and so the area acts like a funnel. In some areas the terrain may limit the radio beacon signal so a wedge is all that is available. A rectangle isn't needed because planes can't make use of the inner corners and it would be both a wasted area and a hazard as a plane may be able to get in but not out. Directly over a VOR the signal is not useable and the turns in a route must be wide enough for a large-radius turn not a sharp angle precisely over the beacon. The political types like to minimize the zone of low flying aircraft noise and building restrictions on the ground dwelling tax paying voters. STARS are higher altitude and so the design is more forgiving and can be of simple rectangles. Not the answer you're looking for? 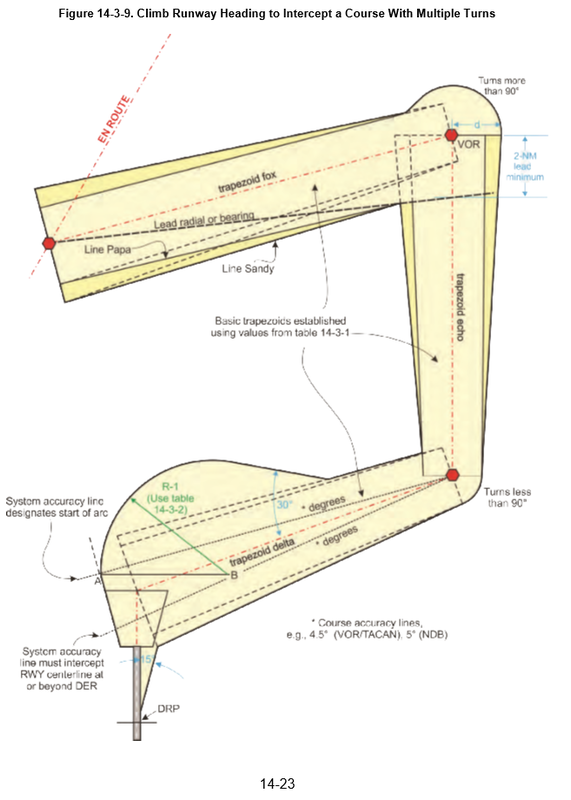 Browse other questions tagged instrument-procedures sid-star terps obstacle-clearance or ask your own question. Why does this GPS approach say “RADAR REQUIRED”? Why is the VFR traffic pattern area at some airports different from its IFR circling approach area? 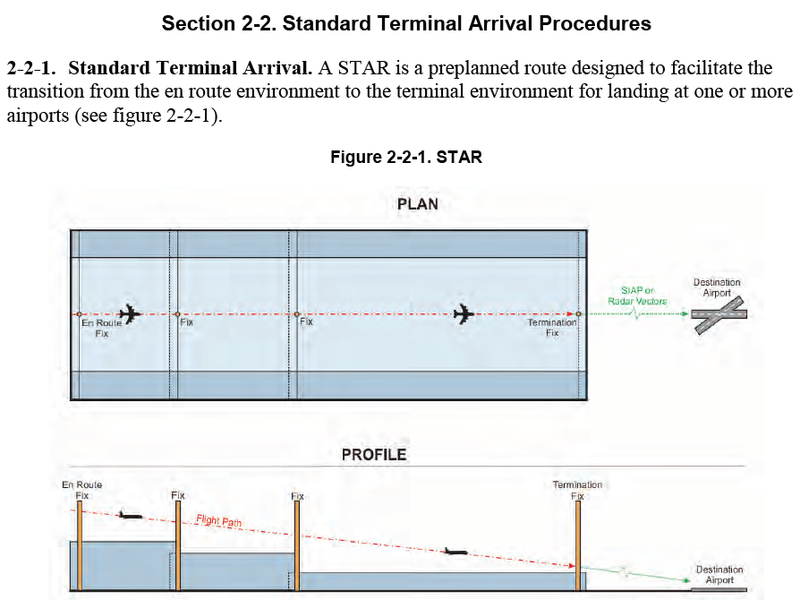 Is FAA's Order 8260.58A complementary to the TERPS manual as far as SID design is concerned? How much clearance is provided when taking off over a 50 foot obstacle?